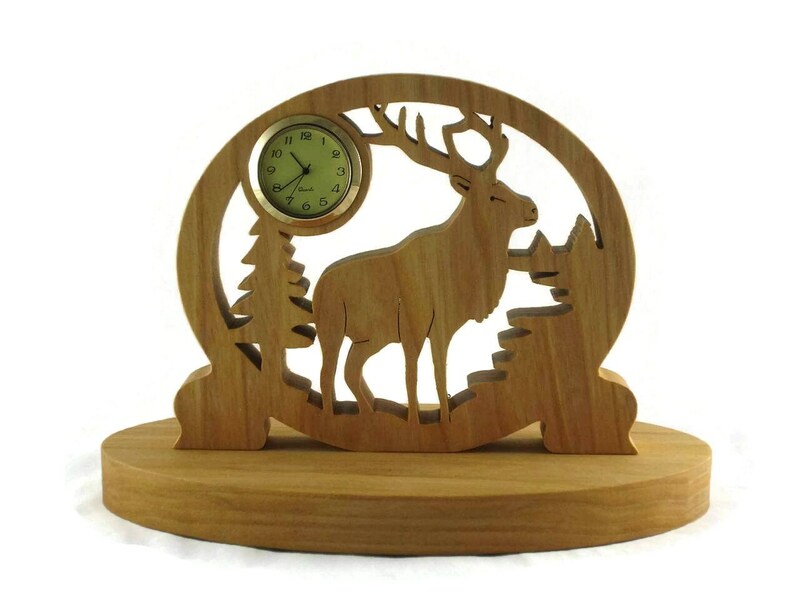 This wonderful wildlife Elk mini desk clock a a must have for that outdoors man. 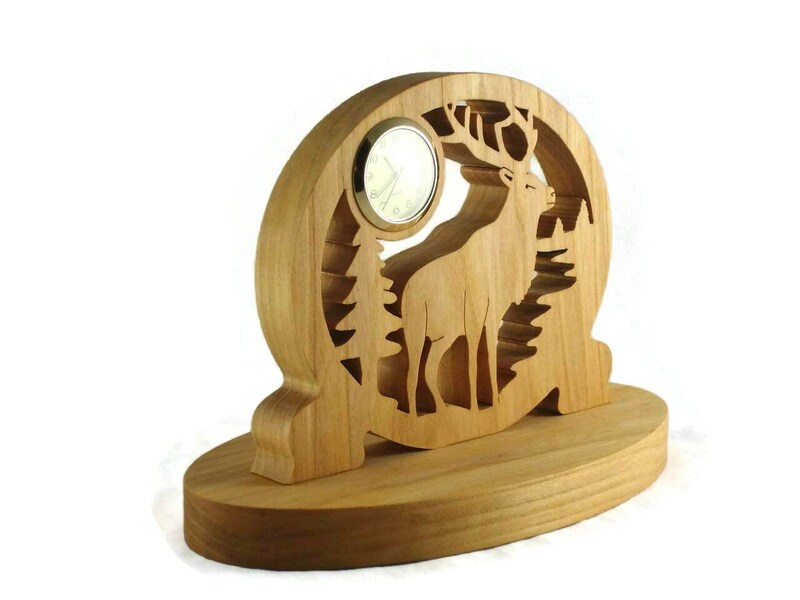 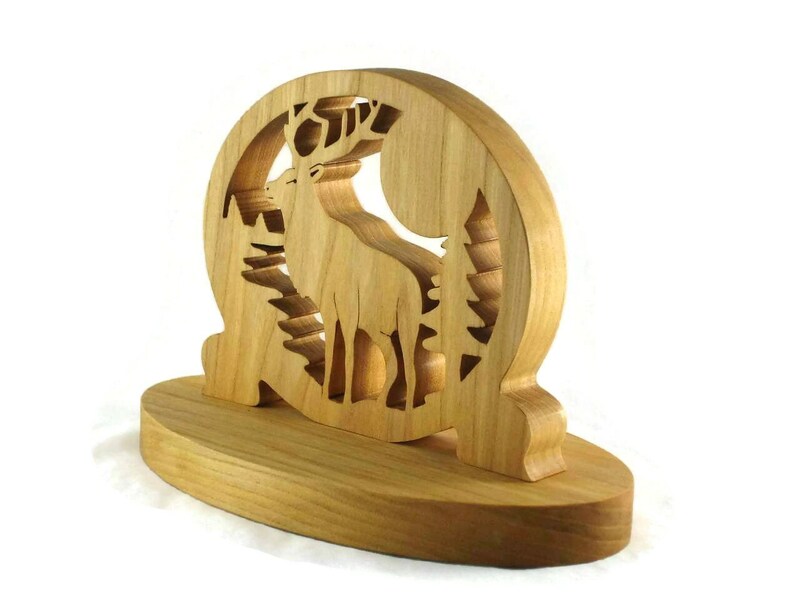 The Elk mini desk clock features a Elk cut out of Maple wood with a oval country scene of a tree line and a sun or moon. 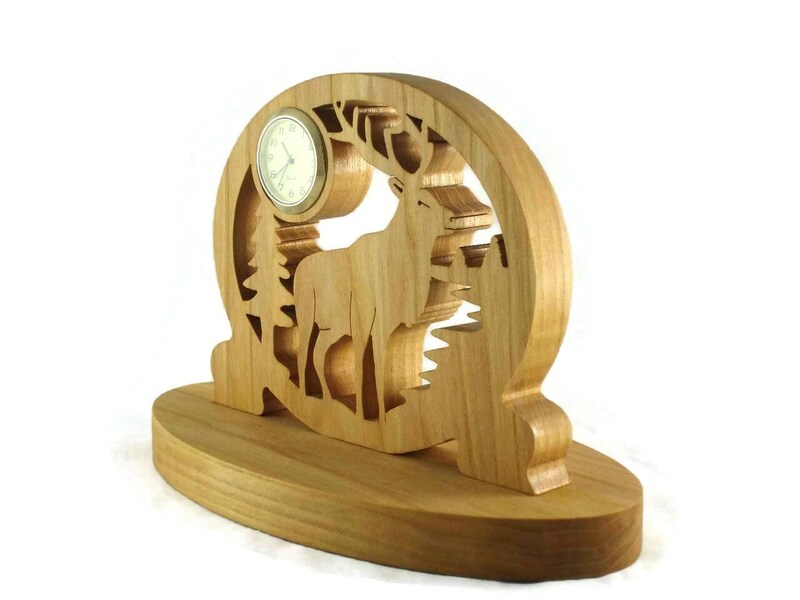 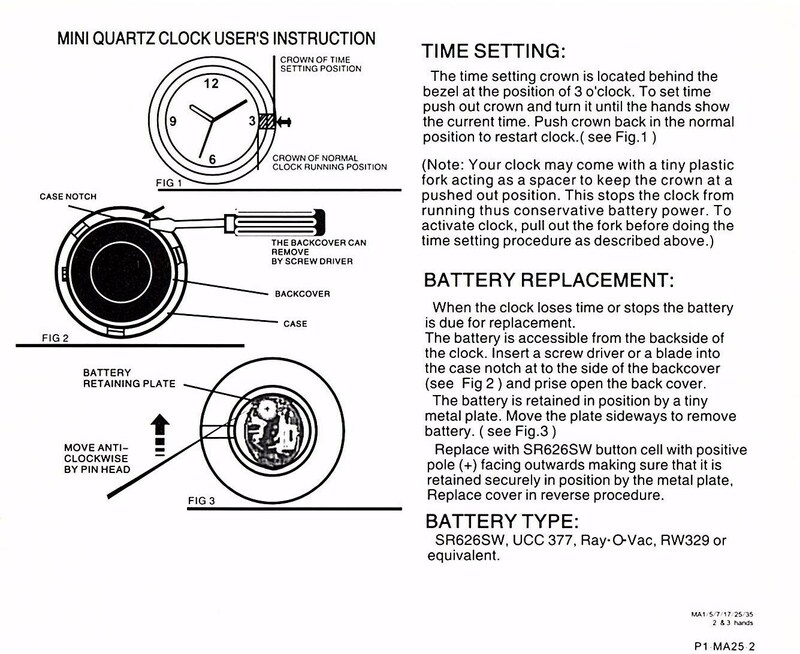 A mini 1-7/16 inch Quartz clock insert is encased into the sun / moon of this country scene. 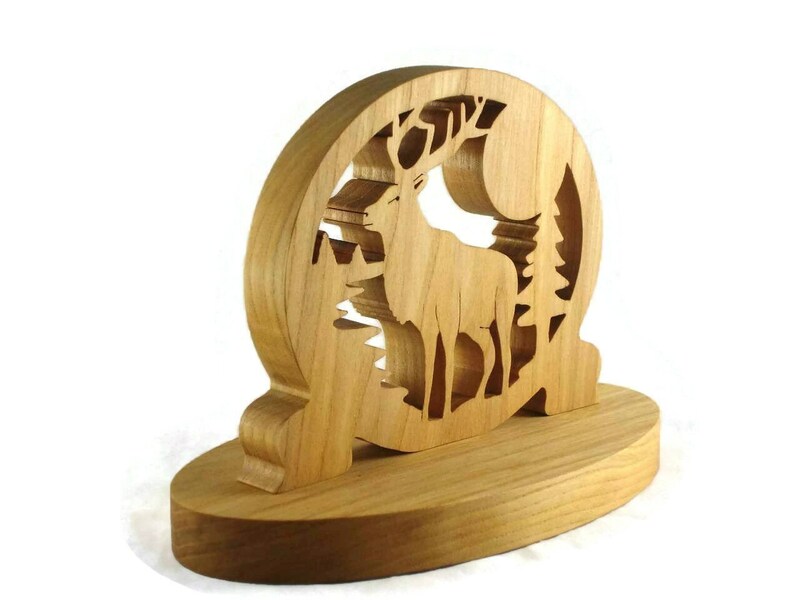 The oval cutout is mounted to a matching Maple oval base with countersunk screws for durability.